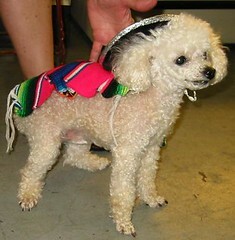 Itchmo: News For Dogs & Cats » Blog Archive » Happy Cinco De Mayo! This entry was posted on Saturday, May 5th, 2007 at 3:55 am	and is filed under Dogs, National Dog, Cat & Pet Info, Art & Pictures of Cats & Dogs. You can follow any responses to this entry through the RSS 2.0 feed. Both comments and pings are currently closed. OK, this isn’t too witty, but I can’t help myself.